Like many of his fellow Italians, techno producer Giorgio Gigli has a passion for the deeper side of the form and on this album release for Speedy J's label, he gives full vent to this love. Right Place starts with the eerie, neo-classical tones of "l Futuro E Solo Un Ricordo Di Uno Stupendo Passato". It's a dramatic start and Gigili follows it with a series of dead-paced tracks, including "Last Frame Of Myself", "Surrounded" and "Eve Of Destruction", where throbbing bass tomes, chilling strings and robust drums add to the sense of drama. 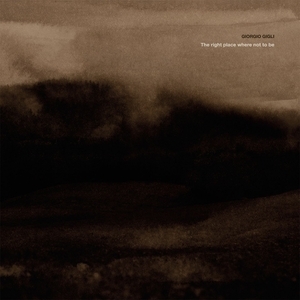 Gigli strips his sound back as the release progresses and bombastic drum patterns dominate "Through Leaden Clouds" and "Shades Of Depth", but it's the orchestral first half that impresses most.